The ST stepper drives are a family of compact digital stepper drives with multiple control options and many sophisticated features. 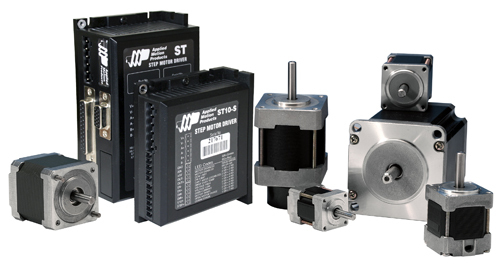 The ST drives represent the latest generation of stepper drive technology from Applied Motion. Step motors run smoother than ever with features such as anti-resonance, torque ripple smoothing, and microstep emulation. Step motors also run faster and with more torque due to the alleviation of mid-band resonance issues.